You may have lots of questions that you will want to ask us and we will do out best to answer them - the best way is to come along to one of our open events. 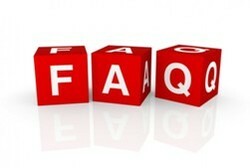 To help you we have put together a list of questions that you may already have. Why take some of the pews out? The pews that form the bulk of the seating at the moment were installed by the Victorians in 1865-7 during the last major changes to the building. They are not particularly important examples of Victorian pews and in their own right do not have any special historical significance. The pews which are currently in the north and south aisles are of an altogether different vintage and significance, with some parts of these pews dating back to mediaeval times. The plan is to restore and retain the mediaeval pews whilst removing the Victorian pews currently in the nave. Do not allow for wheelchair use forcing wheelchair users to sit in the aisle or right at the front of the church and not with other friends or family members. Do not allow for modern styles of worship which includes setting seating in a circle or semicircle so as to be much more inclusive. Cannot be moved out the way to make way for events such as children's holiday clubs, church and community meals etc. Why is under-floor heating needed? The current system is very ineffective as most of the heat goes straight up making the church quite cold and unwelcoming. It is also noisy which can be distracting and make it hard to hear what is being said. Under-floor heating gives out 'radiant heat' which is much more effective in large spaces with high ceilings. The large floor area means the floor itself does not need to be that warm in order to heat much more uniformly so making the space feel much more﻿ comfortable﻿. It does however require the floor to be clear of the plinths which the pews are fixed to. The heating can be left on very low to protect the building (the current system can be harmful to the building as it can lead to swings in temperature and moisture levels). The heating system will be zoned to only heat the parts of the building that are needed at a particular time. Our architect is Nigel Walter of Archangel, a firm of architects who are based in Cambridge. Nigel is the founding director of Archangel, and a Specialist Conservation Architect. He gained a first in Architecture from the University of Cambridge and holds an MA in Conservation from York. He has considerable experience or working with churches, particularly in Ely Diocese where he is on the Diocesan List of approved architects. Nigel has authored a very helpful booklet on church architecture, Church Buildings for People (with a forward written by the Bishop of Ely), available to purchase here. Nigel runs a website site about church building and reordering projects which you can view here. Will you still be holding traditional services? We will continue to hold a whole range of services from informal Praise & Prayer evenings with contemporary Christian music to traditional occasions such as Christmas Carol services and Easter events. The only difference is that we will be able to arrange the church to suit the event - and you will have a much more comfortable seat! We have great plans to provide a resource that is available for the community just as it used to be. The nave of the church was originally an open space frequently used for community gatherings until the time that pews were installed. Historic church records (notably the churchwardens’ accounts of 1511 which are housed in the county archive) attest to the church nave being used for many community events and private celebrations. We hope that the building will be used for a range of activities including a venue for a youth club, film nights, quiz evenings, concerts etc. It will also be possible to close off the west end of the nave to create a space suitable for 50-60 people (with catering facilities available) and this will be available for private and community events as will the smaller rooms. Why are so many rooms needed? The rooms are important for two reasons: use by the church for meetings and Sunday school, and also as a resource for the community. At the moment we only have one room which is across the road in the Church Room. This does not help the children (or the leaders) feel included in the service nor does it support the idea of family worship. Having a wide range of children in a single class also makes it impossible for leaders to provide activities geared around a child’s age. The church needs a minimum of three rooms in the church itself to accommodate the range of age groups. There also needs to be a quiet room for use after the service where 2 or 3 people can meet to talk in private and pray through issues that may be troubling them. The rooms will be in a variety of styles from formal meeting room to a teenage ‘snug’. We will also provide a crèche to allow parents to take very young children into an area where they children are free to be a bit noisier whilst the parents can still feel part of the service. Will work be carried out in the Chancel? The Chancel will not be affected by any of the work which is currently being planned. It will continue to be used for occasional services in its current form and remain available as a place for private prayer. What is the gallery for and does it need to be that size? Historical records indicate that there was previously a gallery at the back of the church and that the original organ was located there. The proposed gallery has a number of functions. Firstly it provides for an enclosed space at the rear of the church for small gatherings and for serving refreshments after services and at events. It is important that this is separated from the main body of the church to allow drinks etc to be prepared or cleared away without disturbing the service. This would be ideal for having drinks immediately after a wedding or baptism or holding a wake following a funeral. Without this separation we would be unable to heat this area independently of the main body of the church which would be very wasteful both financially and environmentally. In it's own right, too, the gallery has several functions. For large events the gallery can provide extra seating, or be used for refreshments if the downstairs area is to be used for seating. The gallery provides space for the sound system, enabling it to be out of view in the nave. Normally musicians at a concert or in services would be at the front of the church but for some events the gallery would be an ideal place for singers and other musicians. What will we find under the floor? The short answer is we don’t know. Work at St Peter’s in Farnborough led to the discovery of an old crypt (see our examples page) whilst more locally at Melbourn Baptist Church evidence of old walls and a baptistry were found that completely changed the understanding of the church’s history. There may be burial vaults in some places but we do not know where. The ledger stones (the engraved stone slabs in the floor) were all moved when the Victorians reordered the church in the 1860s so we have no idea of where they were originally. Hopefully we will find evidence that allows us to put some of the stones back in their original locations! What ever we find we will be working closely with archaeologists to ensure we understand the significance of anything found and ensure that it is fully documented. How much will it cost and where will the money come from? The proposals have been developed by an architect with a great deal of experience in working with churches and have been costed by a professional quantity surveyor. The project is projected to cost £820,000 which includes the cost of restoring the mediaeval pews in the north and south aisles. Whenever work is carried out on a historic building one can never be sure of what will be found – especially when a floor is being lifted. This is a large amount of money and we are looking at a number of sources of funding. In summary, the money will be raised from the generous giving of members of the congregation, from fundraising events, from individual donations from those who share our vision for the building and from a number of grant making bodies. If you would like to help we would love to hear from you. Surely that number of chairs will need a lot of storage when not in use? The chairs we are looking at are robust but light and very stackable. They come with a storage system that allows 60 chairs to be stacked on a trolley and moved about with ease. Storage system for 60 chairs which can be wheeled away into cupboards.